The Defence Operations Research Symposium (DORS) is an annual event conducted by DST Group’s Operations Research Hub. 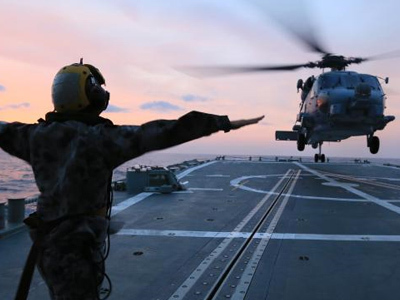 The symposium is an opportunity for practitioners, academics, and the military to meet, present, and exchange ideas on Defence Operations Research. DORS focuses on topics including systems analysis, operational concept analysis, requirements analysis, exercise analysis, capability analysis, fleet management, risk analysis, data analytics and logistical analysis. The theme for the Defence Operations Research Symposium (DORS) was ‘From Trusted Data to Trusted Decisions’ having a sub-theme ‘Informing and Supporting the Defence Decision Maker’. In 2016, DORS was run in conjunction with the Defence Human Sciences Symposium (DHSS). The theme for Defence Operations Research Symposium (DORS) 2014 was 'Delivering High Quality Advice'.